The new Suzuki Celerio Hatchback is a cheap and cheerful city car that’s perfect for the commute to work. It’s cutely styled, spacious enough for a carpool, and easy to drive and live with. Sure, it isn’t going to set the pulses racing, but it’s hard to argue with a price tag that starts out from just £7,499. It’s economical too, returning 78.5mpg economy at best, while the likes of Bluetooth and air conditioning are included in its standard kit. Moreover, its boot is class-leading. Where the value for money is concerned, it’s hard to beat. OSV takes a closer look at what it’s all about with our 2017 Suzuki Celerio Hatchback review. At heart, the Celerio is a city car. As a result, it can’t offer much power. However, it’s sprightly and takes to the city streets with confidence and a spring in its step. Its steering is surprisingly weighty – but this is a good thing. It means the Celerio is able to respond to turns well, and it isn’t so weighty that it starts to exhaust you. The small turning circle is advantageous as well. That said, out of town and especially on the motorway, the steering becomes less responsive. There isn’t much to choose from in terms of the engines; in fact, there are just two available, and they’re both petrols that produce the same amount of horsepower. A 1.0-litre engine is standard, and can be paired up with either an automatic transmission or a 5-speed manual ‘box. We’d recommend sticking to the manual, as the automatic is noisy, unpredictable and lethargic. The manual, on the other hand, is quiet and smooth. The engine produces up to 67bhp, which is enough to get you from a standstill to 62mph in roughly 14.0 seconds. That’s standard fare in this class, but the engine will make a fair amount of noise when you push it hard. The alternative engine is a DualJet petrol that also produces 67bhp. The key differences are that you don’t need to work it as hard, and its economy is better. That said, it costs £500 more and doesn’t offer any extra performance. Both engines are lively but feel underwhelming on the motorway. Once you’ve reached the top gear, the engines run out of puff. 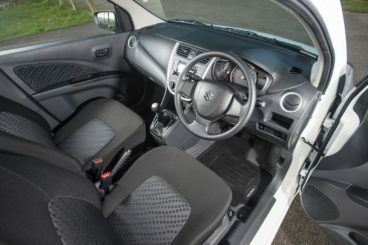 Inside, the Celerio is more functional than anything else. This will suit some buyers, but a lack of design flair won’t be to everyone’s tastes. Everything is tastefully done and the dashboard is logically arranged, while the sheer amount of glass means the cabin is light and airy. It’s comfortable too, although the steering wheel doesn’t adjust all that much, while the driver’s seat is height adjustable only. Insulation is fine at low speeds, but once you pick up the pace, tyre and engine noise becomes a problem. In terms of the actual quality, there is far more evidence of cheap plastics than there is of top-notch materials. The gear lever benefits from softer plastics, however, while the controls are solid and feel pleasant enough to the touch. Each model comes with an easy to use infotainment system, but sat-nav isn’t available. Where the small Citroen Celerio Hatchback excels is on the practicality front. It might be compact, but Citroen has done such a good design job that it can accommodate five adults. Visibility is excellent, accessing the rear is easy, and the large windows make the car feel bigger than it is. And while the roofline looks bland from the outside, it means that rear headroom is generous. Legroom is decent, too. The Celerio gets marked down for its storage areas, as the door bins are so small to be totally useless. Still, its glovebox is well-sized. The boot, meanwhile, measures 254-litres, which is class-leading. It’s nicely shaped as well, though the small lip will be irritating on those bad days. There are three trim levels to choose from, with the entry-level model getting the likes of a DAB radio, central locking, electric front windows and a CD player as part of its standard kit. The SZ3 model is OSV’s top pick, and it gets alloys, Bluetooth, a USB port and air conditioning as standard. The SZ4 model rounds things off with a chrome front grille, body coloured door mirrors, front fog lamps, rear-electric windows and unique alloys. Unlike a lot of rival city cars, there is no scope for personalisation. Is the Citroen Celerio Hatchback safe? No doubt it’s a tiny car that wouldn’t be much use in a fight. Worse still, Euro NCAP could only award it three stars for its crash-test performance. However, its results are slightly deceiving, as the European model that was tested didn’t have so much safety kit as standard. Its revamped safety kit includes tyre pressure monitoring, hill-hold assist, electronic stability control and six airbags. Prices for the new car start out from £7,499 and rise to £10,949. If you prefer to lease, you can pick up a deal from £132 + VAT per month. For more information on our leasing deals, check out our page here. In terms of its running costs, the Celerio is a star. The 1.0-litre petrol engine returns as much as 65.7mpg economy, and emits less than 100g/km of CO2. Under the new rules, however, you still have to pay £140 a year in road tax. The DualJet engine, meanwhile, costs £500 more to buy, but according to Suzuki it will return 78.4mpg. It also emits just 84g/km of CO2. Both models sit in insurance group 7. It might be small, but it boasts a class-leading boot, and lots of head, leg and knee room. All three models are generously equipped when you take into account their price. The most powerful engine is also the most frugal, and can return over the 78mpg economy. It’s true that you get what you pay for – in the Celerio’s case, that means a poorly designed, busy cabin that’s too mismatched and lacks any personalisation options. Suzuki hardly has a good track record where reliability is concerned, and question marks remain. 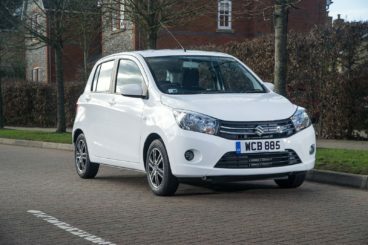 Let’s see how the car fares against its rivals in the comparison section of our 2017 Suzuki Celerio Hatchback review. The new Mitsubishi Mirage is pricey to buy but cheap to run, well-equipped and boasts a decent amount of cabin space. Its biggest problem is that it’s just not much fun to drive. It’s natural to expect a small car like this to feel underwhelming on the motorway, but the Mirage’s sole 1.2-litre petrol engine also struggles in the town. There is too much body lean, and you’ll find yourself changing gear all the time just to keep up with the traffic. The overly light steering is an issue too, as is its lack of feedback. And while there is the option of an automatic CVT transmission, it’s too noisy. 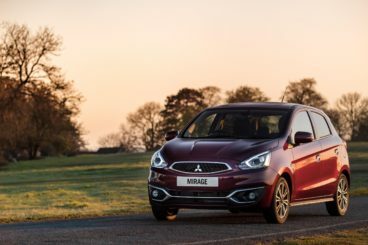 On the road, the Mitsubishi Mirage doesn’t impress. Still, its 1.2-litre engine is cheap to run. It averages 65.7mpg and costs nothing in road tax, regardless of whether you opt for the auto ‘box or stick to the manual. The motor also benefits from stop-start tech to keep costs down. Servicing is cheap too, while the five-year warranty is a big bonus. Inside, Mitsubishi has tried to make the car as comfy as possible. The front seats are definitely comfortable and supportive, but the flatter rear ones are less so. The dated dashboard doesn’t look aesthetically pleasing, but it’s neatly laid out and easy to use. Build quality is decent, too, though the quality of the plastics used is questionable. Ride quality isn’t fantastic, and you’ll need to prepare yourself for some grumbles from your back seat passengers if you throw the Mirage Hatchback into a corner with too much haste. Hit a pothole and you’ll all know about it. Is the car practical? Headroom is a bit restricted in the rear, but legroom is good and adequate for all. Storage space is surprisingly good, with Mitsubishi adding all kinds of cubbies here, there and everywhere, from door bins to pockets. The boot, meanwhile, measures 235-litres, which is almost twenty litres shy of the Suzuki. Fold the rear seats, and you can extend it to 910-litres. We think that’s reasonable for a car of this type. The new Kia Picanto is a much better proposition than the Mitsubishi. It’s well-priced, well-built and offers dependability and reliability – traits we all look for in a car like this. It’s not what you’d call fun to drive, but it is easy to drive. The car is light and small, and simple enough to get out and about inside the town. Its tight turning circle means that it’s also nippy and agile, and will have no problem negotiating sharp turns. Visibility is fantastic, while the Picanto is also a willing companion out on the motorway. In terms of its engines, a 1.0-litre petrol unit kicks things off. It’s tailor-made for the city, but does take a rather lethargic 14.3 seconds to get you from a standstill to 62mph. Once it’s up and running, however, it’s got a decent turn of pace. Moreover, those numbers are official ones only. You might find that you can do 0-62 much quicker. A 1.25-litre petrol engine is a better all-rounder. It develops 84bhp, does 0-62 in 12.0 seconds flat, and makes pulling away from traffic look like a piece of cake. It has its own flaws, though, and doesn’t feel as good as the other engine. As it powers the sportier GT model, it’s also more expensive to run – but only by a bit. While the smaller engine returns 64.2mpg and emits 101g/km of CO2, the 1.25-litre engine returns 61.4mpg and emits 106g/km of CO2. Specify the 4-speed auto transmission, and those numbers change to 52.3mpg and 124g/km of CO2. Inside, the Kia Picanto boasts a better interior than last time. In the past, the car’s cabin was too functional for some, but Kia has worked hard to make it more aesthetically pleasing. The surfaces are still hard as opposed to soft, but comfort is better, as is the overall design. The dashboard looks more modern than last time, with a horizontal trim breaking up the otherwise gloomy grey colours. The layout is logical, and the controls are well positioned. 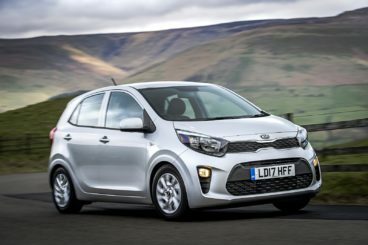 Is the Kia Picanto practical? For a car of this size, it is. The interior is more versatile than last time, with Kia extending the wheelbase to increase space. This means legroom is better, but without height adjustable seats, the driver might find it hard to get into their preferred driving position. Visibility is excellent, the rear seats recline, and four adults can fit in relative comfort. The boot, meanwhile, measures 255-litres and can be extended to 1,010 by folding the rear seats. 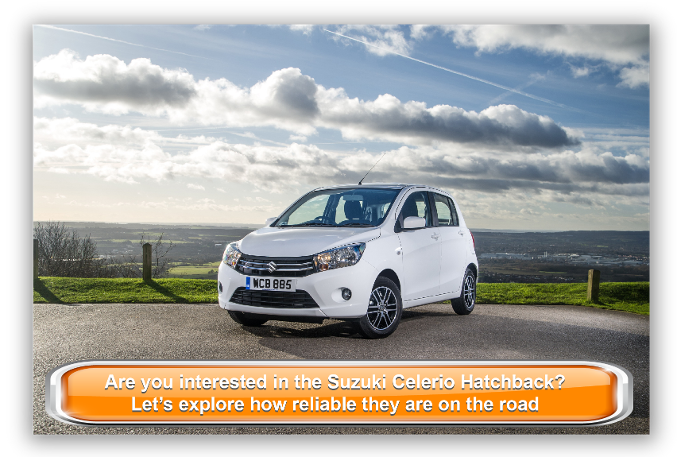 Buyers are spoiled for choice in the city car market, but the Celerio is well worth a place on your shortlist. It’s got a huge boot, a good amount of standard kit, and prices start out from under £8,000. The new Suzuki Celerio Hatchback is a thoroughly inoffensive, easygoing car that’s tailor-made for first-time buyers, or anyone who just wants more bang for their buck.